Flaxseed can replace all of the fat called for in a recipe because of its high oil content. If a recipe calls for 1/3 cup (75 mL) of oil or butter or other fat then use 1 cup (250 mL) of ground flaxseed to replace it. Generally, use a 3:1 substitution ratio. When ground flaxseed is used instead of other fats, baked goods tend to be denser and brown more rapidly. Vegan bakers often substitute a flaxseed mixture for eggs in baking recipes like pancakes, muffins, and cookies. These baked goods are slightly gummier and chewier than those that use eggs, and the volume is decreased. Replace each egg with 1 Tbsp (15 mL) ground flax, plus 3 Tbsp (45 mL) water. Mix ground flaxseed and water in a small bowl and let sit for 1 to 2 minutes. Add to recipe as you would an egg. As the texture of the baked good will be different for both of these techniques, it is necessary to test the recipe first to determine if it meets your expectations. 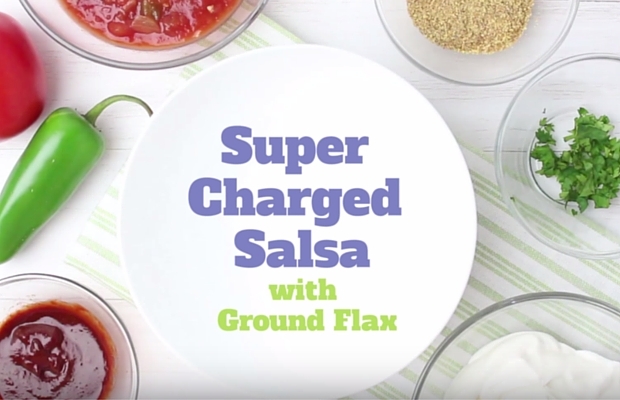 It is easy to add ground flaxseed your yogurt or cereal or smoothie. It can also be added to crusts for meats or your favourite baking recipes. Q. Where can I find flaxseed? A: Flaxseed can be found in whole, milled, or oil forms at your local grocery store or health food store. Whole and milled flaxseed is usually found with the packaged grains or bulk food section, while oil is in the refrigerated section. It is found in numerous ready-to-eat products including snack bars, trail mixes, muffins, pancakes, cereals, waffles, breads, pastas, pizza crusts and many more. Q. My store carries both brown and golden flaxseed. Is one better than the other? A: Golden and brown flaxseed both contain the same nutritional benefits in terms of omega-3 fatty acids, lignans, protein and dietary fibre. 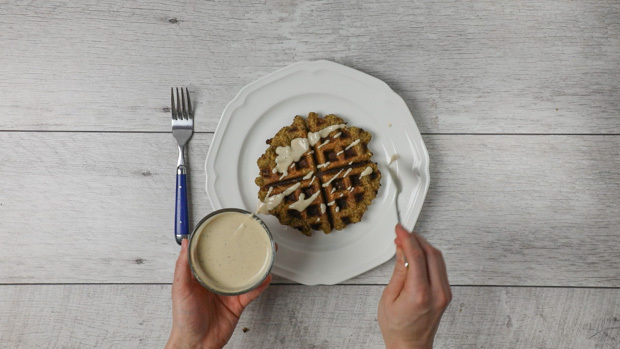 It's a matter of choice, but be assured that you can substitute golden for brown and vice versa without sacrificing any of the natural goodness in flaxseed. Q. How long does flaxseed keep? A: If you buy whole flaxseed, don't be afraid to keep a jar of it handy on your kitchen counter. Whole flaxseed is naturally wrapped in a perfect package — a hard seed coat that preserves its goodness for up to a year or longer. If you grind flaxseed yourself (for example in a coffee grinder), it is best stored refrigerated in an opaque container and will keep for at least 90 days. Because ground flaxseed flows readily even when frozen, many users choose to store ground flaxseed in the freezer for even longer shelf life. Also good quality milled flaxseed may be purchased, but attention should be paid to the manufacturers recommendation as to storage conditions. Overall the storage of milled flax is similar to other whole grain flour or raw nuts. Roasted flaxseed should also be refrigerated or frozen. Flaxseed oil should be refrigerated and usually has an expiration date about four months after pressing. A: Studies have shown that both the ALA and lignans in flaxseed remain stable, that is they do not “break down” under common baking temperatures of 178ºC (350ºF). In baking, milled flax can be substituted for the fat used in recipes at a ratio of 3:1. For example, 1 ½ c (375 mL) of milled flaxseed can replace ½ c (125 mL) of butter, margarine, cooking oil, or shortening. Adding whole or milled flaxseed or oil to baked goods such as muffins and breads is an excellent way to obtain the healthy constituents found in flax. A: Using flax oil for frying is not recommended as once the oil is extracted from the seed, the polyunsaturated fatty acids may undergo thermal oxidation (they “break down”) when exposed to high temperatures used in food preparation. This will give off flavors and odors to the finished product. Q. How can flaxseed substitute for oils and eggs in cooking? A: Flaxseed can easily replace oil or shortening in a recipe because of its high oil content. Just replace 1/3 cup of oil with 1 cup of milled flaxseed for a 3:1 substitution ratio. 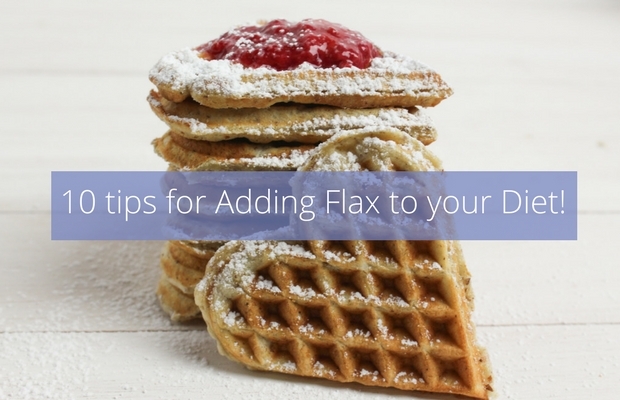 Similarly, a flaxseed mixture can be used as an egg substitute in selected recipes like pancakes, muffins and cookies. For every egg, replace with 1 teaspoon of milled flaxseed and 3 tablespoon of water. 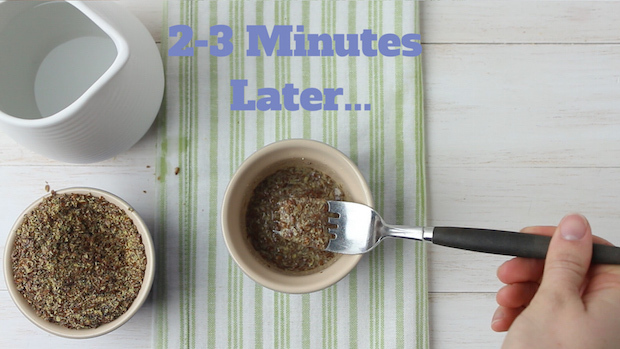 Mix milled flaxseed and water in a small bowl and let sit for 1 to 2 minutes. The result will be a slightly gummier and chewier baked good, with a slight decrease in volume. 10 Tips for Adding Flax to your Diet!